Six years after the Europe-wide scandal over horse meat in lasagna, a Paris court has sentenced four Managers on Tuesday to prison. Two years in prison the verdict for the Dutch merchant Johannes chamfers, who had organized the Scam is. The former head of the French meat processing company Spanghero, Jacques Poujol, must be imprisoned for six months. The men were convicted of consumer fraud. They had spent more than 500 tonnes of horse meat as beef, and in Germany and other countries brought to the market. 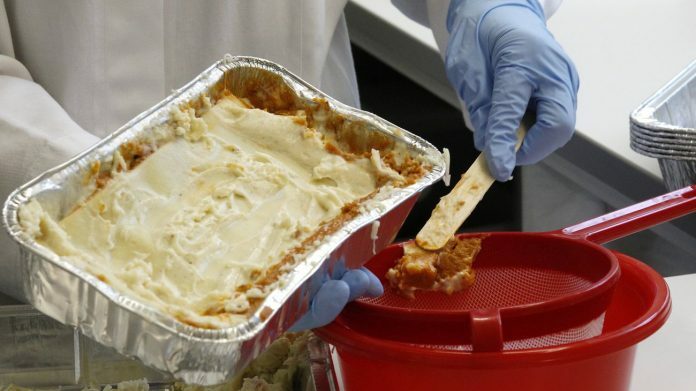 The scandal of lasagna, goulash, and other finished products flew on 2013. The Paris criminal court stayed the judgment is significantly below the demand of the public Prosecutor’s office. You had to chamfer four years in prison for the Dutchman, and a year in prison for the French Poujol required. Two other defendants were released on parole.